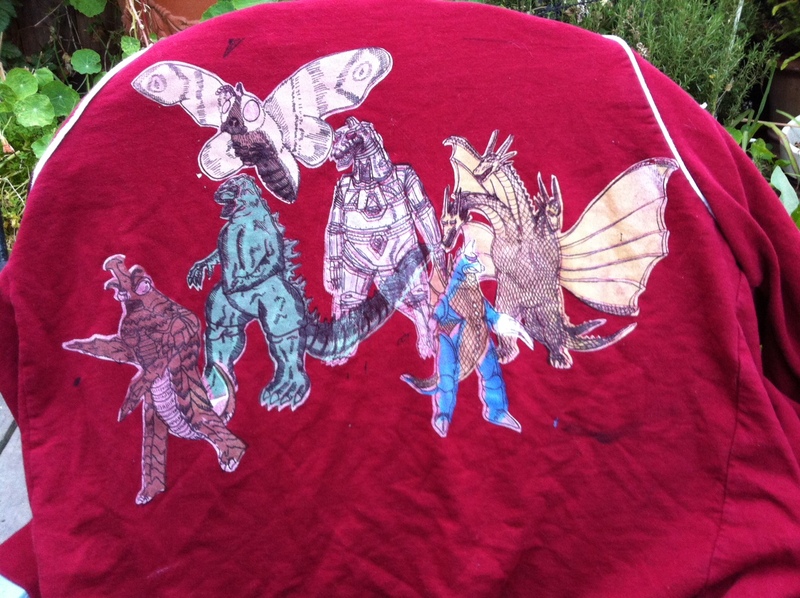 I found this old sweater I made back in 2008 with Godzilla and friends. The registration is terrible, but I still love it! Unfortunately, my over zealous dryer ripped the zipper off, so it’s little more than a shawl. This entry was posted in 2008, art, design, illustration, silk screen and tagged animals, art, cartoons, comics, design, drawing, funny, gigan, godzilla, illustration, kaiju, king ghidorah, mecha godzilla, megalon, mothra, peter glanting, san francisco, screenprint, silk screen by pgglanting. Bookmark the permalink.